Today, we welcome Jennifer Slattery, the author of the contemporary romance, Beyond I Do. 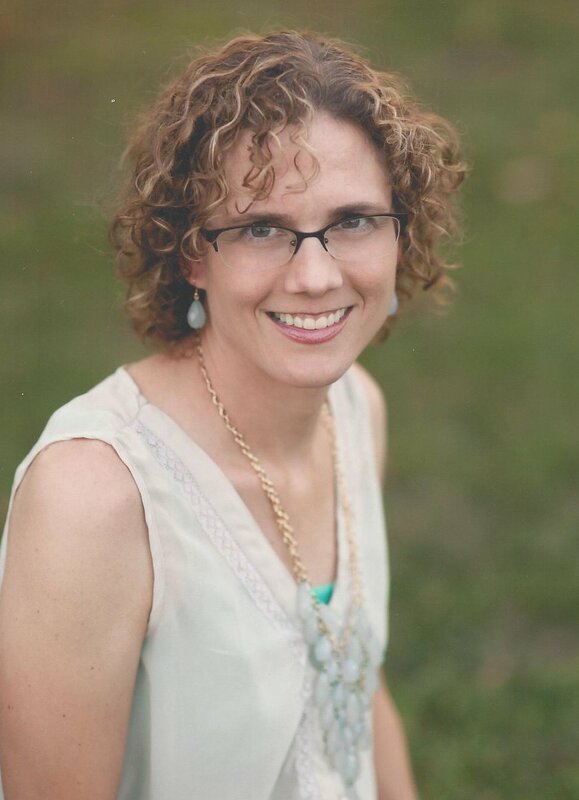 Jennifer writes Missional Romance for New Hope Publishers, a publishing house passionate about bringing God’s healing grace and truth to the hopeless. Her debut novel, Beyond I Do, is currently available in print and e-book format for under $10! You can find it at Amazon in the link below as well as CBD. Jennifer, I’ve known you professionally for a few years, and I love your heart for writers, but my first question is what type of stories do you feel God has placed upon your heart to write? 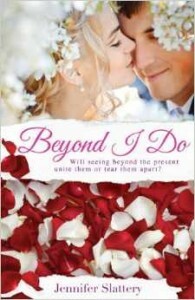 In Beyond I Do, you do what I love to see done with contemporary romance. You bring in issues that aren’t simply all about the romance. Yes, the issues are connected, but you take the story deeper. Would you explain the issues you explore in the story? Thanks, Fay! Beyond I Do centers largely on the issue of homelessness and the believer’s call to care for the poor. I hope it expels some of the myths regarding homelessness by showing readers alcoholics aren’t the only people living on the streets. Many women and children do as well. The novel also touches on something I believe very strongly and that’s that every believer has a calling. For some, that may mean writing or teaching or perhaps serving in a third-world country. For others, like my daughter, their calling may mean reaching out the outcast or hurting close to home. But I believe Ephesians 2:10 teaches that each one of us are created to great things—things God planned well before we took our first breath. We’ll never feel fulfilled and at peace until we surrender to that which God created us to do. Your heroine is a child of a broken marriage, and she suffered because of it. I understand the authenticity of the plot because I have lived it—almost exactly. I hope you don’t mind if I ask how you were able to portray a grown child’s pain of divorce so vividly. Wow, Fay, your statement caught me off guard and quite honestly, brought tears to my eyes, thinking of the pain you must have experienced. And I have to admit, I’m not entirely sure if I know the answer to your question, except to say, I became so completely consumed with Ainsley’s perspective as I wrote it, that I literally felt her pain. I have to say that I have come to learn that if I could change my childhood, I wouldn’t dare. From it, God brought me to a saving knowledge of His love, and every bit of struggle was well worth it. What is one of the main scriptures that you used to bring into the theme of the story and why that verse? When we first meet Ainsley, she’s delivering items to a sick friend-of-a-friend who lives in a dangerous part of Kansas City, Missouri. This frightens her as she’s spent much of her life doing what was safe and predictable. But what frightens her more is when she begins to sense God calling her to step away from her carefully planned and secure life to accept the adventure He has planned for her. So, in essence, God’s calling her to die to the life she has planned and those things she has been clinging to—her efforts at attaining future security. Because those are the very things keeping her from the abundant life He has planned for her. But when she finally surrenders, her life begins to produce such beautiful fruit! Fruit within her and in the lives of others. What else is on the horizon for you? Any new projects? If so, we’d love to hear about them. Absolutely! First, I’m hoping this isn’t the last we’ve seen of Ainsley and her mother. I’ve pitched two sequels for Beyond I Do to my editor and am awaiting their yay or nay. In the meantime, I have a second novel scheduled to release in 2015 titled When Dawn Breaks. As the hurricane forces Jacqueline to evacuate, her need for purpose and restitution forces her to head north to her estranged and embittered daughter and into the arms of a handsome new friend. He’s dealing with his own issues, and Jacqueline isn’t sure if he will be the one she can lean on during the difficult days ahead. And then there are the three orphans to consider, especially Gavin. Must she relinquish her chance at having love again in order to be restored? Be sure to read Inner Source’s interview with heroine, Ainsley Meadows.